Discussion in 'Civ4 - Strategy & Tips' started by Lain, Jul 19, 2017. For the next one I'll definitely do a "hard map" edition. Sorry for not including some of your maps @AcaMetis, you picked some great maps for this thread already! This time I just checked the thread too late and had already gone with the other games. Zavior and sampsa like this. Looking forward to it . Incidentally, any requests for specific settings? Currently I'm rolling a very vanilla NHNE game (or trying to at any rate), but if you'd like to see some NTT or the like, that can be arranged . You have floodplains double gold, a very good leader, lots of forests. This looks much more like a HoF game than anything else. If someone struggles with deity difficulty, this map would be his best bet for his first win. Don't know about that, man (or woman? I shouldn't assume, despite the username ). We should of course move to the suggested blue circle, abandoning floodplains, the golds and freshwater. However, if we dare to go where no AI has gone before and settle in place, it would be a fantastic location - even more so if there is proper food for the capital. Of course then can be many other things that make it hard. Before I forget... I read the first posts in this thread (or maybe it was the isolation thread); did you manage to get those 100 Deity wins in a row? That save seems to be Vanilla, not BtS so can't play it. I think settling on the gold is better than SIP btw. The best way to learn to do something right is by doing it right. Aye, it seems so. Then I can't play it either. Well, I could try to get it working, but won't bother. As for Alex. Well, I messed up in one way or another and crashed the economy by turn 50. Not that many warriors either, but a handful as I wanted to be safe. Then got an event that removed 1-2 pops in all cities, so that's a rather big slap in the face. Think I'll just put it on the backburner (forever) and continue one of the games I have going, or watch a pro probably ruin this map by turn 200 again. I settled on the PH btw. Loses freshwater, but other than that I figured it would be worth it. Looks like a very nice map to me . Going to download it and see why you consider it as hard. Just judging from the starting screen, this looks just awesome. Ofcourse, there might be other suprises in the map that make it more difficult. Fractal, Rocky Climate, Mid sea level, NHNE, all else default. Medium - not as hard as Pacal/Willem/Charly II, but a definite step above, say, the Genghis Khan map. I did roll some hard(er) maps, but all of them were basically just a lesser variation of the Charly II map, so unfortunately not all that interesting. Cyrus was a total runaway, just pure luck that Hannibal got locked into a long fight with him, and that he didn't capitulate. There was an insane amount of land available in the north-western region. Got the Ivory site early, but couldn't utilize it. Was first to music and won lib for MT at T128. Cuirs against Augustus (who didn't have anything to defend with except prets), then Saladin (who was boxed in), cavalry against Wang, and then Monty. Some progress against Cyrus with rifles+cannons, but once he had assembly line I had to tech for what seemed like an eternity to get tanks. Haven't finished a pangea in a long time, so it was fun. New video up from Lain. Don't check spoiler if you haven't seen it! I discuss the ending position in the video, and contrast it abit to my own game. Lain did some really impressive work with building horsearchers and upgrading them with massive amounts of gold. I haven't really tried much such unit-upgrade stuff really, should try it out, the burst effect is considerable. @Lain thank you for putting these videos up, it's very educational! 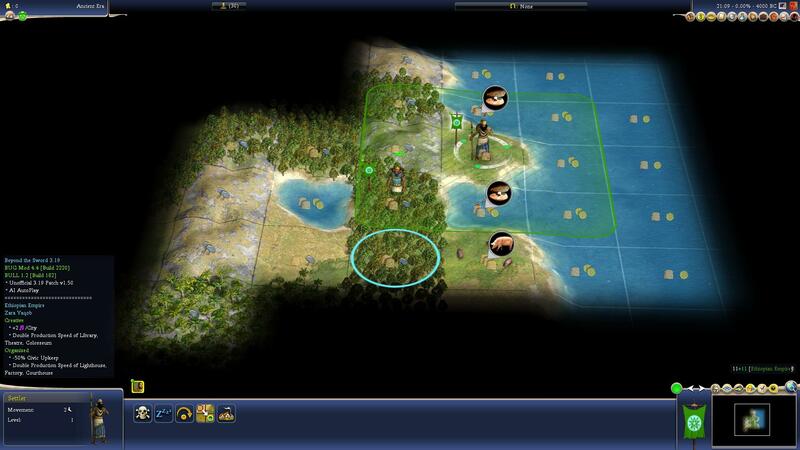 The video ends on turn 158 with Hannibal capitulated and Lain at 16 cities. This is the closest I have at the same time, I'm just getting started with Augustus and I'm down at 9 cities. Persia didn't turn into a monster at all in Lains game, probably due to Hannibal getting the key chokepoint of Leptis. Indeed impressive what he did. Again he achieved another personal best for him i think. To get out 4 Great merchants and to upgrade 44 horse archers was quite impressive. He could even have upgraded more cuirassiers if he put the overflow into chariots, Not sure if that would be worth it though. 9000 gold so early in the game. Quite amazing how he always seems to get even better at the game. I think it has to do with his Great person management, it is really top notch. Unfortunately he got not a single event in 156 turns. Thats quite sad, especially since he will probably not going to play an event game anytime soon again. Maybe if i want some event games and K-mod action i would have to upload myself. Not sure if i want to go through all the hazzle of uploading videos and maybe get like 5 views . Agree that Lain's GP-management is excellent and he even seemed to do it intuitively without crunching numbers. Maybe there was a small portion of good fortune as well. Certainly getting 4 merchants was very fortunate. Anyway, the lesson is clear - post-liberalism merchants are of huge value compared to scientists (bulb PP/SciMeth? not that useful, especially if planning a cuir attack). Also at the risk of repeating myself, pangaea is a borderline broken mapscript. I think the main problem with pangaea is the size, if the A.I. only get 8 -10 cities, some even less then it will be easy for Lain. If the map size would be huge maybe and A.I. could get to 13-15 cities then they are more dangerous. Also if you play continents or isolation there is a good change that one A.I. has a vassal and therefor will be more advanced and more dangerous. On pangaea he can just bribe off the dangerous guys before they are able to vassal someone. Maybe if Hannibal had DoW on him earlier instead of JC, game could have been a bit harder. Why it's worth playing will be evident within about five turns. Hard or Dear God Why, depending on how the RNG feels. I've only watched the first episode, but from what I can gather from above it sounds like he's wrecking this map as well. Once he gets going, there is no stopping him. He'd have to get in trouble in the early game, otherwise it's the famous snowball effect, and it's only a matter of time. WoW undefeatable? You really changed your name to "fish man"? I respect that, you take it one step further. I approve of this Zara map! It's sort of kind of simmilar to the WvO map where you where squeezed between Julius and Genghis, but not exacly. I did two tries, first one with a shot for GLH, which I did get (and 3 cities) about T65. The other try I went with horsearchers. Attached a buffy5 save with barb techs added. Zara game starting tomorrow. Not an easy map, without spoilering too much. 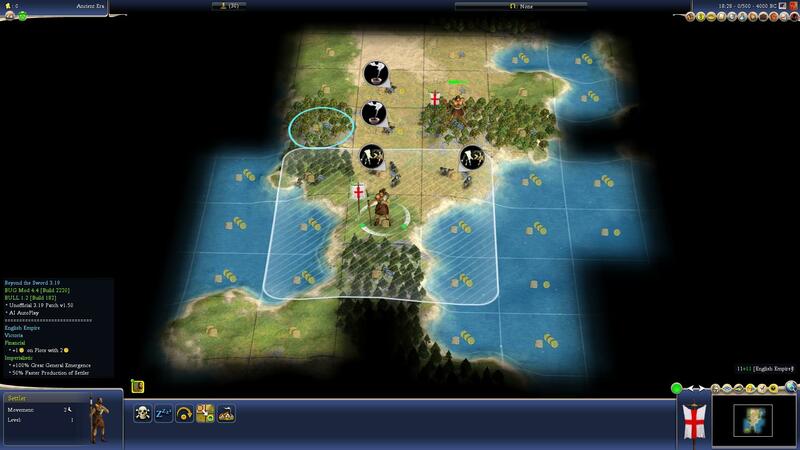 Also added overview in first post, of all games played so far (map script + strategy used). In case someone is looking for HA rushes in particular. Or for Semi Isolation etc. Pangaea, sampsa, Olafeson and 3 others like this.